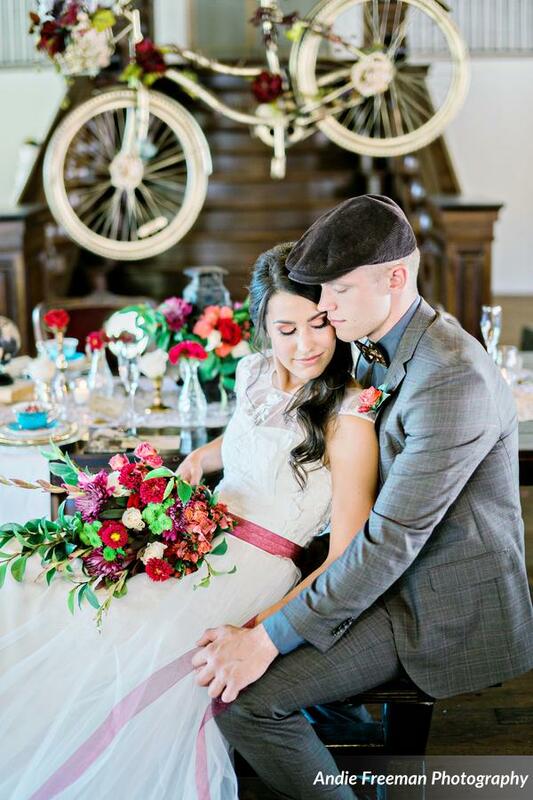 Featured in The Celebration Society this Inspiration shoot capture the allure of yesteryear by playing on the newsboy theme,courtesy of the talented Jessie Patton of http://southernsophisticationdesigns.com .What began as a germ of an idea was soon expanded upon by each of the vintage rental vendors involved.We were asked to think of what would work with a Bike hanging from the ceiling over the table…oh and it would be Gold!!!! Well creativity went into the stratosphere. 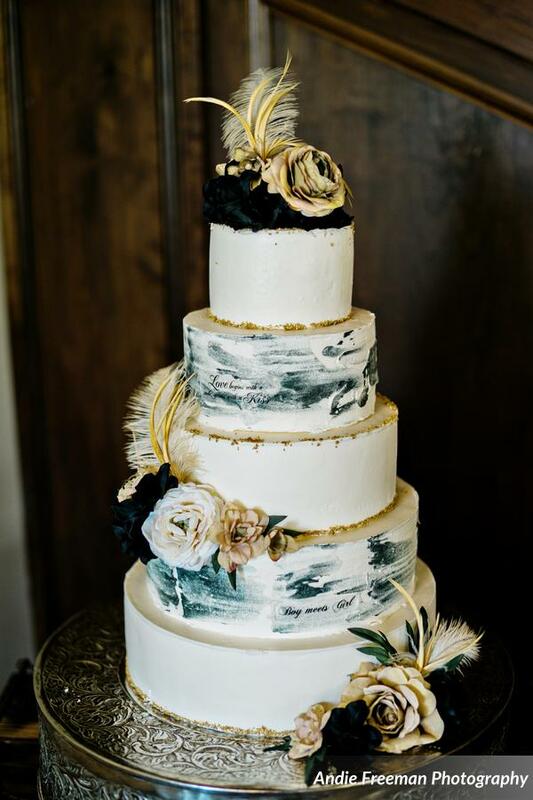 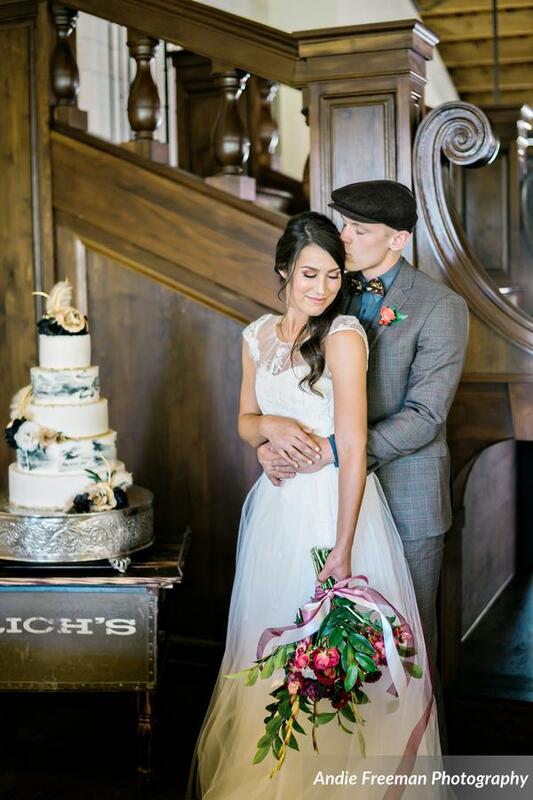 The cake featured newsprint placed onto the icing then feathers were added,of course with some flowers to draw the attention to the fine script. 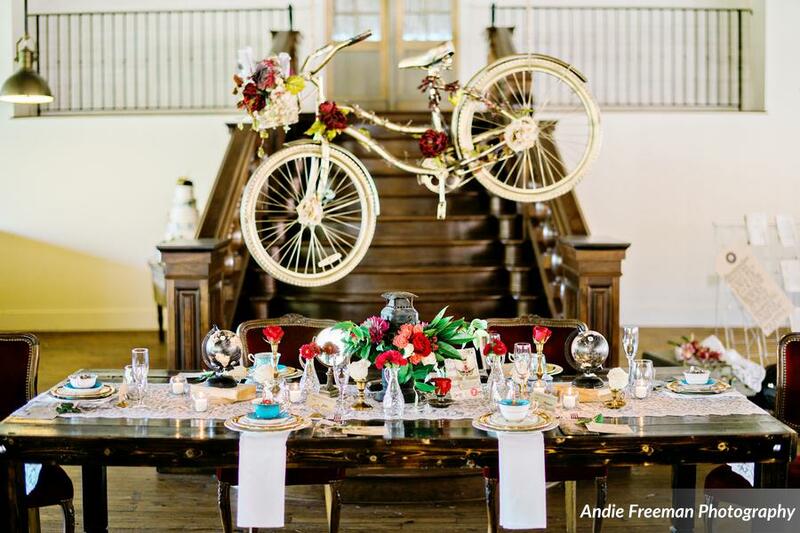 In case that was not enough Jessie used her vintage Rich’s (an Atlanta historic landmark) table to place it on! 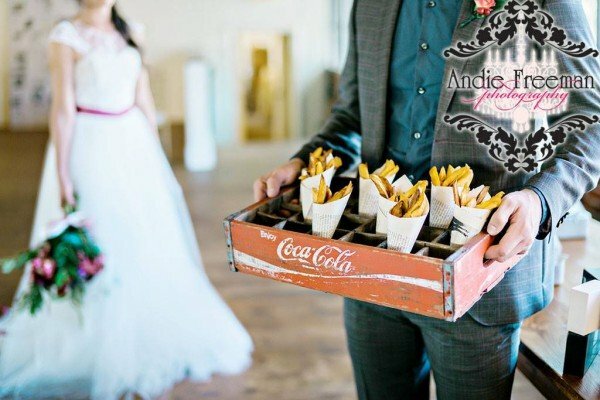 Catering company Simply Catering wrapped delicious foods in vintage newsprint and then they were placed in a Vintage Coke (another Atlanta Historic reference)box.Genius! Whilst our lovely models were getting hair and makeup from Bombshell Creations and gorgeous gown from http://katemacdonaldbridal.com we began to put the Table together.I have to say these models were simply a riot to work with! 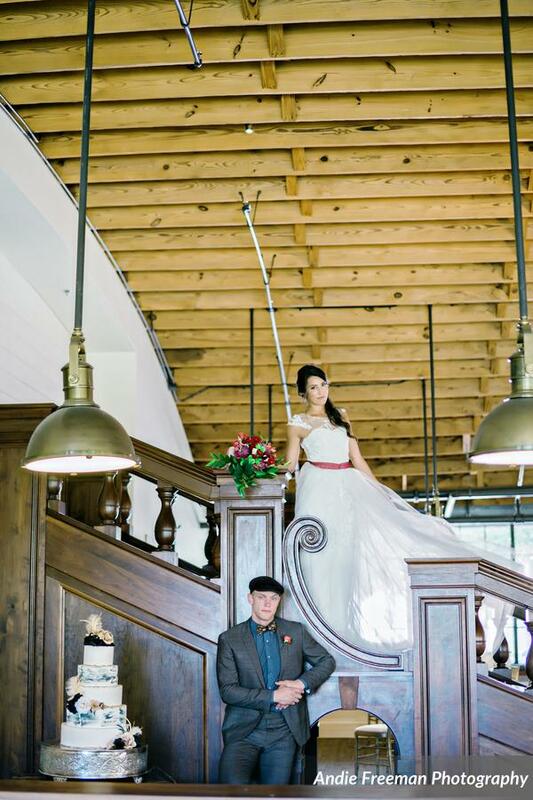 we had so much fun playing with hats and simply messing about not to mention the inspired mens outfit from http://themoderngent.com Must do this more often! 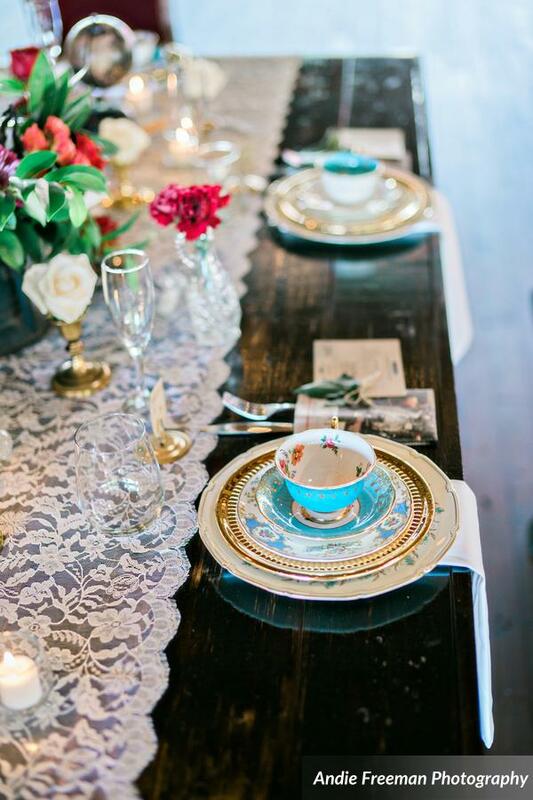 The deep tones of the Vintage wood was layered with vintage lace and collectibles. These included globes,brass and of course a riot of floral decor. 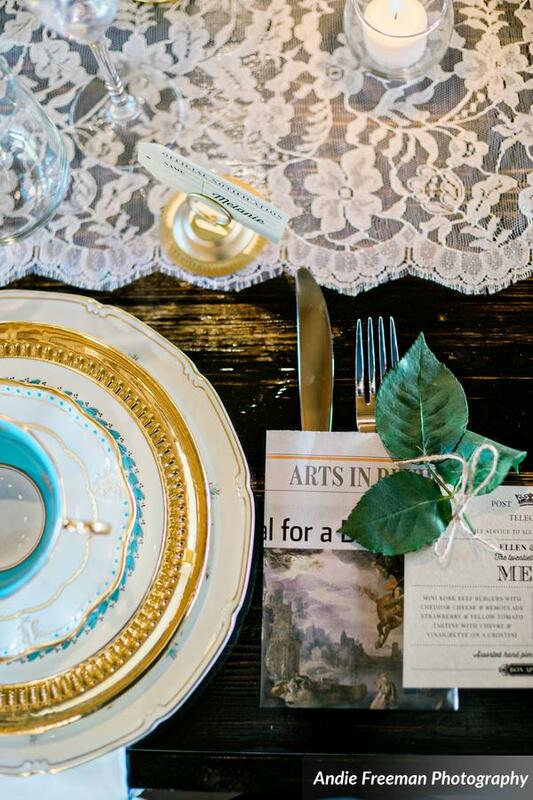 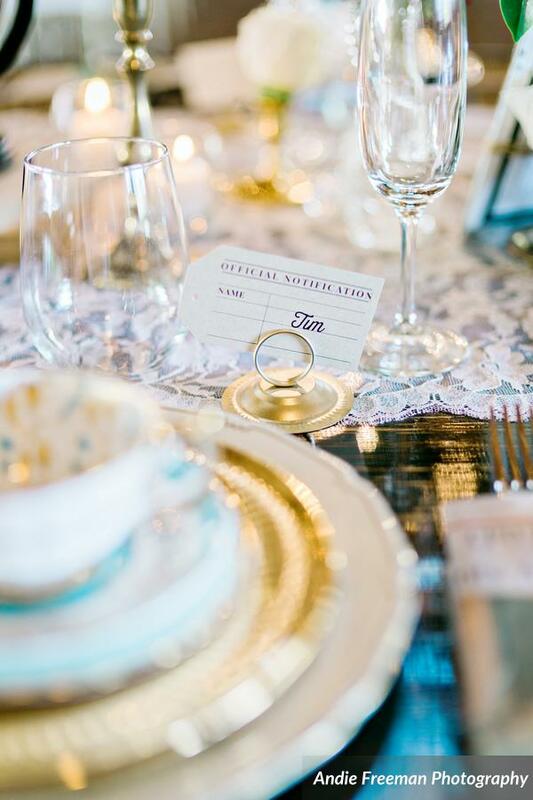 The flatware was gold and placed with paper goods from Jankun designs in our vintage theme of newsprint. I then was able to add the finishing touch! 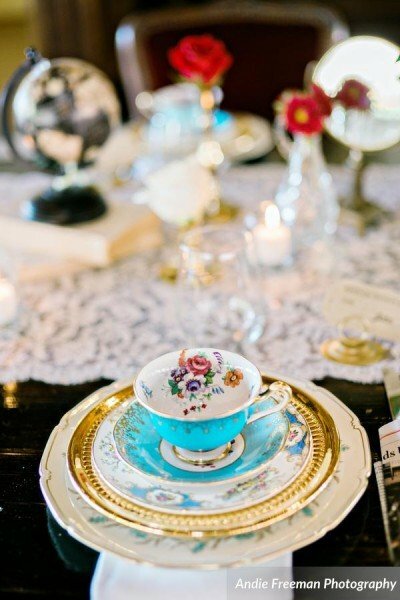 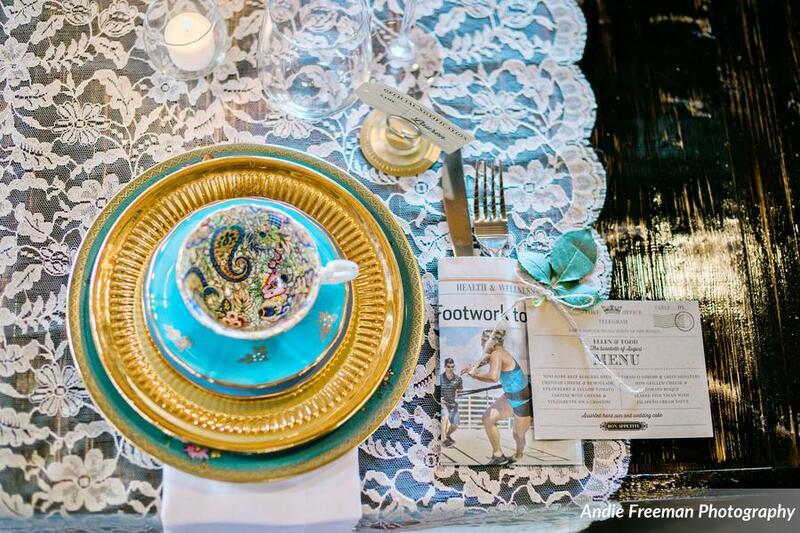 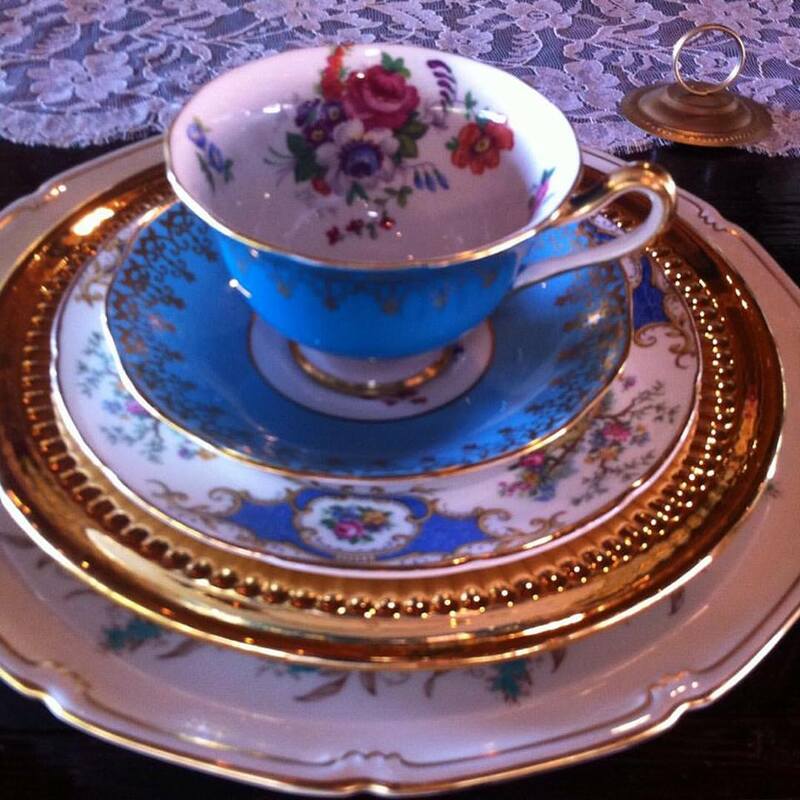 I layered fine china in shades of turquoise and gold. Then topped them off with stunning luxury tea cups and saucers.These pieces were imported from England and each piece is chosen for the style and depth of color and design.Most are hand painted by artisans that have to train for many years before being able to touch a piece of fine china.But it pays off when you see then quality of the end result,simply stunning! 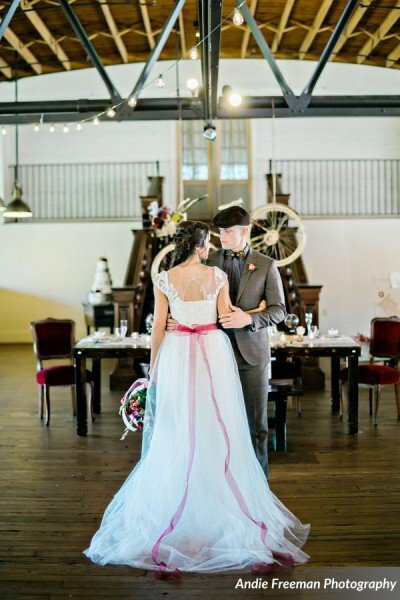 The incredible industrial chic venue at Summerour Studio in Atlanta provided an amazing opportunity for photographer http://www.andiefreemanphotography.com Andie Freeman to capture multiple images of light fixtures,brick walls,stunning beams and of course the staircase of your dreams all in town!